The Carol Ball School of Real Estate is a Certified Prelicensing and Continuing Education school in the State of Hawaii. It continues the tradition of educating real estate professionals by offering live and on-line Real Estate Prelicensing and Continuing Education courses. License candidates are provided with grounded professional instruction that will prepare them for the real estate licensing exam and introduces them to the professional skills required for their entry into the real estate business. Emphasis on the ethics required in the business is a hallmark of the Carol Ball School of Real Estate. Both Sales and Broker Prelicensing live classes are held on Maui. Carol Ball School of Real Estate does not discriminate on the basis of race, color, religion (creed), gender, gender expression, age, national origin (ancestry), disability, marital status, sexual orientation, or military status. Inappropriate behavior by any student may be cause for dismissal from the class. There are no refunds given for live classes once classes begin. More information on obtaining a real estate license in Hawaii may be found at http://cca.hawaii.gov/reb/real_ed/ . Information about the State of Hawaii real estate licensing exam may be found at https://candidate.psiexams.com/. 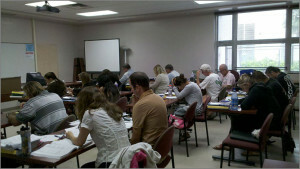 Carol Ball School of Real Estate offers live Sales Prelicensing instruction quarterly on Maui. Sixty hours of prelicensing education is required by the State of Hawaii to obtain a real estate sales license. By popular demand, Carol Ball School of Real Estate is offering an accelerated format featuring two weeks of concentrated real estate instruction allowing the student convenient instruction to prepare for the State of Hawaii licensing exam. The classes are held after hours to accommodate students who are presently in the workforce. Two hours of Independent Study are required prior to each class to prepare for the lessons presented in the classroom. The successful formula used by the Carol Ball School of Real Estate to present complex material allows student exposure to the topics several times during the class culminating in preparation for the state licensing exam. 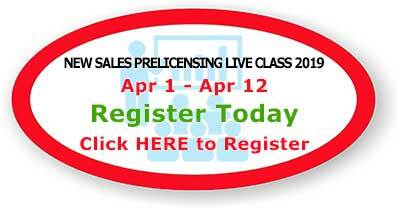 More information on the live sales course can be found at https://carolballrealestateschool.com/cb/pre-licensing-live/. 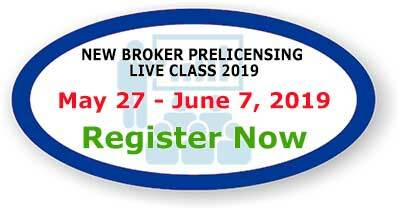 A live Broker Prelicensing course is offered by the Carol Ball School of Real Estate featuring an accelerated schedule for two weeks. Classes are held daily Monday through Friday from 9 to 4:30. Independent Study of no less than two hours per night is a required to prepare for the class assignment prior to presentation in the classroom. Eighty hours of prelicensing education is required by the State of Hawaii for broker candidates. Through course materials featuring the curriculum adopted by the State of Hawaii and PSI exam prep materials featuring the topics covered in the broker licensing exam, broker students become reacquainted with basic real estate material included in the curriculum and exam with a new perspective as experienced real estate professionals. Utilizing group discussion and quizzes to reinforce familiar material allows every advantage for success in passing the licensing exam by gaining an in depth understanding of the material. For more information on the live broker class and dates of the class please go to https://carolballrealestateschool.com/cb/pre-licensing-live/. 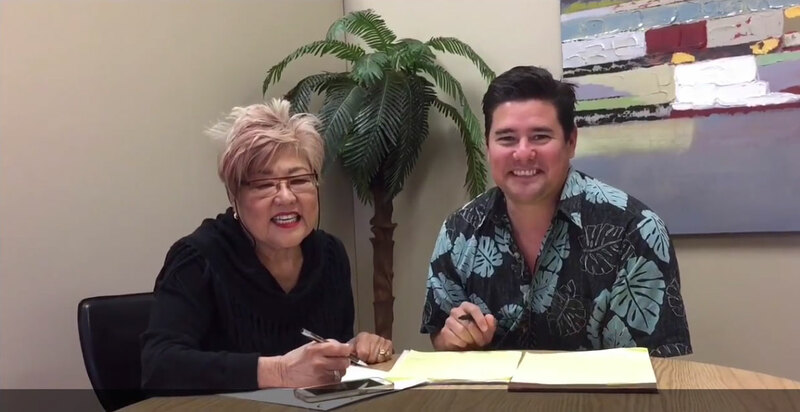 The live real estate prelicensing courses are taught by Keone Ball and Carol Ball, Certified Real Estate Prelicensing Instructors for the Carol Ball School of Real Estate. The duo uses their contrasting styles to introduce the lessons by relating them to their experiences in real life through their own sales experiences as well as through their mentorship of sales persons. Both instructors have successfully led the classes individually and together to provide excellent guidance in the preparation of their students to understand the important real estate concepts as well as application to future practice and the passing of the class final and licensing exam. Testimonies of past students and passing rates above the state norm attest to the success of their teaching techniques. Certified Prelicensing Instructor Keone Ball is the Principal Instructor of Carol Ball School of Real Estate and is the Principal Broker of Carol Ball and Associates. He is a member of the National Association of Realtors and is an Accredited Buyer Representative, Certified Real Estate Broker Manager, and Certified Residential Specialist. Licensed in real estate since 1996 and earning his Broker’s license in 2001, Keone has served as Broker of the multi-agent firm successfully training and mentoring sales agents and recruiting new agents to the firm. His experience serves him well as an instructor allowing him to successfully introduce the class to the essential concepts through his vast real estate experiences. Keone served as President of the Realtors Association of Maui and held Directorships with the Hawaii Association of Realtors. His community activities include serving as chair of the Maui Police Commission and chairperson of the Maui Planning Commission. Carol Ball holds a Master’s Degree in Educational Psychology from the University of Hawaii at Manoa and a Bachelor’s Degree in Education from the University of Michigan. She holds a Certificate in Online Teaching from UH Manoa. Professionally grounded in real estate since 1978 and founder of Carol Ball and Associates Realtors in 1980, Carol is a member of the National Association of Realtors, Hawaii Association of Realtors and Realtors Association of Maui. She is an Accredited Buyer Representative Manager, Certified Real Estate Broker Manager, Certified Residential Specialist, and member, Graduate Realtors Institute. Carol served on the Hawaii Real Estate Commission for 8 years and was the chairman of the commission in her final year. Active in the community, Carol is a member of the Maui Redevelopment Agency. She has been teaching real estate prelicensing since 2001 and established the Carol Ball School of Real Estate in 2007. Online sales prelicensing instruction is offered by the Carol Ball School of Real Estate through Continuing Ed Express as an online affiliate. Carol Ball is the course instructor and author and has modeled the course after the live class that is featured with the school. A unique feature of the online course is the ability of the students to communicate with their instructor, Carol Ball, through the internet on every page if they need help with the complex material. Passage of the course final which is given online as part of the course completion will facilitate eligibility to take the State of Hawaii real estate licensing exam. The State of Hawaii licensing exam is given in locations throughout the state of Hawaii as well in PSI testing centers on the mainland. For more information on testing for your real estate license go to https://candidate.psiexams.com/. More information on the online prelicensing course can be found at https://carolballrealestateschool.com/cb/pre-licensing-online/.